Analysis and characterisation of organic and non-organic samples can involve the collection of images and data using a variety of instruments and techniques and, in most cases, the use of a single analytical approach is unable to provide all of the answers required. Typically combinations of techniques such as SEM and light microscopy are used to determine complete characterisation. 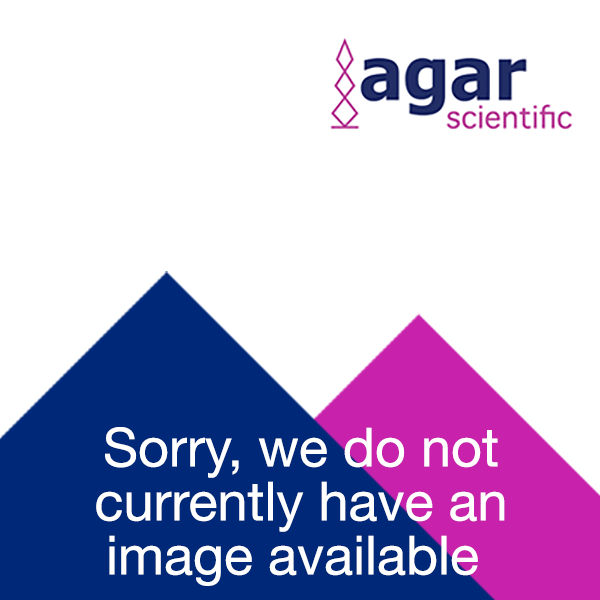 With this in mind Agar Scientific have developed the new CorrStub® specimen stub incorporating a unique referencing feature allowing analysis of exactly the same point, on the same sample, easily and repeatedly over alternative instruments. The stubs can be supplied pre-mounted with either high conductivity Al core carbon tabs or Leit tabs precisely applied and ready loaded in individual plastic tubes or boxes of 12. CorrStub® is available as a standard 12.5mm dia specimen stub to fit LEO/CAMBRIDGE, FEI/PHILIPS, CAMSCAN, TESCAN and ZEISS instruments. The stubs are available separately or can be individually pre-fitted with a high conductivity carbon Al core tab, or Leit tabs and mounted in either single storage tubes (AGG3626) or in lightweight boxes of 12 (AGG3103). The CorrStub can also be supplied laser etched with a unique serial number for sample identification.